We’ve been a trusted leader in the online retail space since 2001, after pioneering experiential gifting in Australia. We connect customers with almost 4000 unique and amazing experiences, sourced from more than 2000 business partners across Australia and New Zealand. RedBalloon was an experiment to test whether a company could be successful simply by listening to its people and customers and delivering a great experience to both, and we remain committed to this 16 years on. RedBalloon is the marketing partner of thousands of small businesses - we not only deliver customers but also provide business tools, education and digital marketing expertise to those listed with RedBalloon. When business partners are successful then so is RedBalloon. We're an Australian small business, supporting other small businesses and together we are all stronger. SYDNEY: The newly formed Big Red Group (BRG) has secured the exclusive rights to bring the world's first Artificial Intelligence (AI) digital marketing platform, Albert, to Australia and New Zealand. Group co-founder Naomi Simson announced the exclusive agreement, alongside a major shake up of online experience retailer RedBalloon and associated businesses*. Albert is a fully autonomous, enterprise-level artificial intelligence marketing platform that drives digital marketing campaigns from start to finish for some of the world’s leading brands. Created by Albert Technologies Ltd. (AIM: ALB.L) (formerly Adgorithms) in 2010, Albert’s success transforming major brands’ cross-channel digital marketing efforts with its self-driven technology has been well documented in the U.S. The AI platform has been publicly credited with driving 40 per cent of Harley-Davidson’s New York City sales, influencing lingerie brand Cosabella’s decision to replace its digital agencies with AI, and creating so much demand for Dole Asia’s canned goods that its suppliers initially ran out of stock before ultimately reaching an 87 per cent increase in sales across the board. The agreement entitles the Big Red Group to distribute Albert to third-party media companies, across entire supplier chains, as well as to direct-to-consumer retailers, under the registered business Big Albert AI Pty Ltd. Albert will drive down customer acquisition costs and increase positive commercial outcomes for thousands of Australian businesses. RedBalloon launched the technology on 1 June this year, and within 24 hours of deploying Albert, the technology was able to identify and execute over 6,400 keywords to improve performance across the RedBalloon business. By way of comparison, this would take a human SEM expert up to a year to achieve. Albert was also able to reduce the cost of acquiring a customer to RedBalloon by more than 25 per cent in less than 30 days, demonstrating its capacity to reduce overall costs by north of 40 per cent. Simson is aware of the tensions that surround artificial intelligence technology, recently bought to the fore by Tesla’s Elon Musk, who claimed AI poses an “existential threat" to human civilisation. However Albert’s track record alone refutes this sentiment. In the U.S., Albert is at the core of a number of new hybrid man-machine digital marketing departments at companies like Harley-Davidson, Cosabella and Dole Asia, where artificial intelligence handles everything data and tech-related, while Albert’s human counterparts handle all things strategy, creative, intuition and emotion. These use cases reveal that such hybrid teams produce exponentially better outcomes than either man or machine would produce on their own, and that the nature of their work together is collaborative rather than combative. “We have seen Albert drive down the cost of customer acquisition by a quarter in a matter of weeks. Imagine the difference this sort of technology could make to businesses across the country. “Ten years ago business was all about offshoring to the cheapest operator those tasks that were not core to your business. But those roles associated with manual and process-driven tasks have largely been replaced by technology now. The next generation of that is a rising tide of technology that is beginning to replace higher functioning process driven roles. “But we should not be fearful of this, as it frees our people up to focus on the higher value tasks like collaboration, strategy and creativity - human and higher functioning skills that at this point cannot be replicated, and certainly not replaced, by AI,” Simson said. * BRG provides management and services to its subsidiaries RedBalloon, Big Albert AI, Redii, Wrapped and The Huddle, and was co-founded by Simson and Group CEO David Anderson, who acquired 50 per cent of the RedBalloon business in June. See backgrounder for more information. The Big Red Group (BRG) is all about business success. In essence we know how difficult it can be to grow and scale a business consistently; co-founders Naomi Simson and David Anderson have built many businesses during their careers and they know the challenges business owners face. 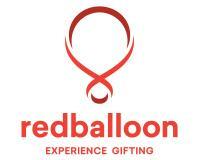 BRG provides management and services to its subsidiaries RedBalloon, Redii.com, Wrapped.com and The Huddle. Each of these businesses deliver services to business owners, whether it is marketing and online retail, helping employees thrive or education and information programs - BRG companies are focussed on the success of other businesses. What we do inspires leadership, great workplaces and commercial outcomes for business owners. Albert, created by Albert Technologies, LTD. (AIM: ALB.L), is a fully autonomous, enterprise-level artificial intelligence marketing platform that drives digital marketing campaigns from start to finish for some of the world’s leading brands. Albert liberates businesses from the data and technology complexities of digital marketing—not just by replicating their existing efforts, but by executing them at a pace and scale not possible by human teams. “He” accomplishes this by wading through mass amounts of data, converting this data into insights, and autonomously acting on these insights, across channels, devices and formats, in real time. Brands such as Harley Davidson, EVISU, Cosabella, Dole Asia, and Made.com credit Albert with significantly increased sales, an accelerated path to revenue, the ability to make more informed investment decisions, and reduced operational costs. Visit albert.ai.